So download the r2-Ice.sh file. Load it on an SD card. CD to Sdcard on roku, then execute sh? Correct? Need a OTA update? I pulled one down the other night. Tried this on a Roku HD, which is a model 2500. The script executed, but failed the platform check returning “paolo” instead of “giga”. Is this particular unit not included in Roku 2’s even though it’s a model 2500? Great job, hope you can expand to my model at some point! Awesome! Thank you :). Can’t wait to see what more comes from this. Thanks so much for publishing this work. 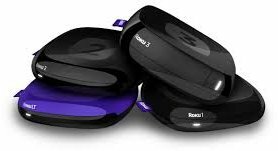 I ran the shell script on my Roku 2 XS, and it seemed to work fine. My home menu has changed to show extra items. Is there anything I should do to verify that everything was modified correctly? Should I telnet in and check something as shown at the end of the video? Any other steps to take right away? I don’t think I can contribute to the development, but glad to help test. hmm i didn’t know it was hard to root these devices . perhaps you should just go and ask Carl (Sassenrath, Amiga OS ,Rebol code , and now Technical Lead, Software Engineering at Roku) what procedures he included in there to make this easier for simple hacking. It seems they already patched this because it doesn’t let you enter commands anymore and when hit enter it clears the box.